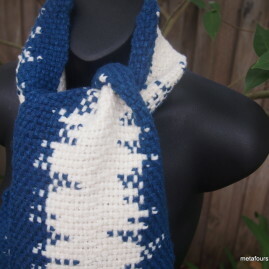 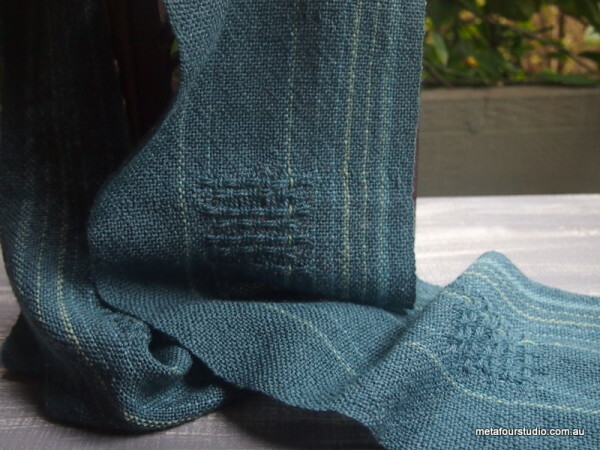 Iceland is a delicate, soft handwoven scarf in blues and greens, with a huck lace repeating motif. 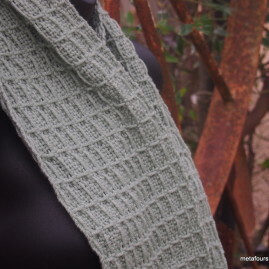 There are five squares of lace in this design. 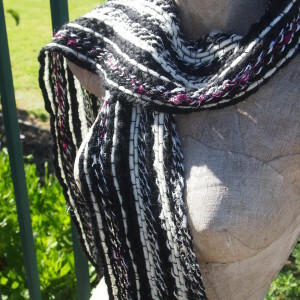 The yarn is a soft, light Merino wool/silk blend. 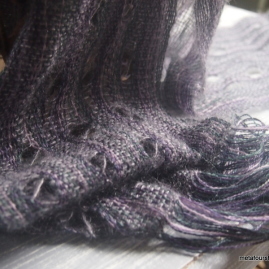 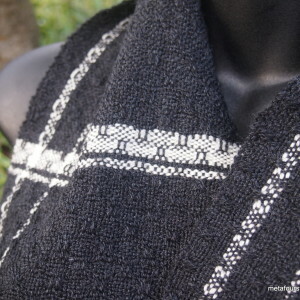 It’s a lace weight yarn, so this scarf is light and has lots of drape. 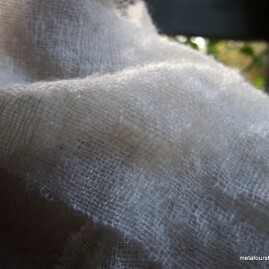 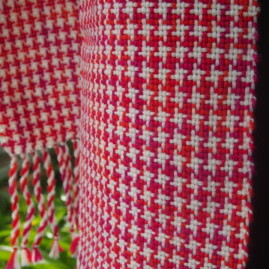 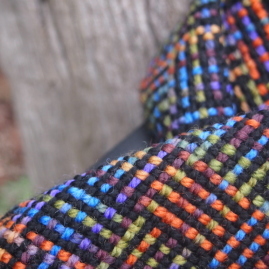 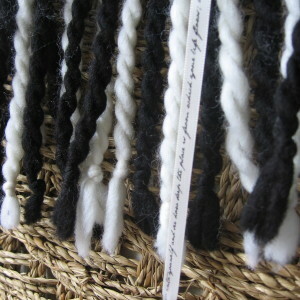 The fringes are left loose to let the colours of the yarn shine through. 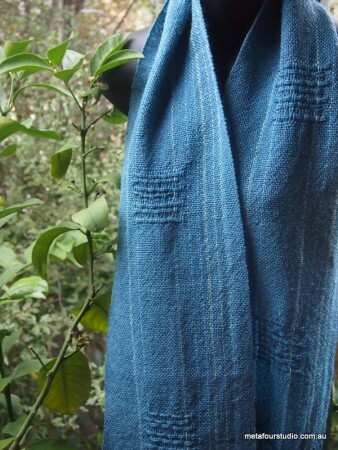 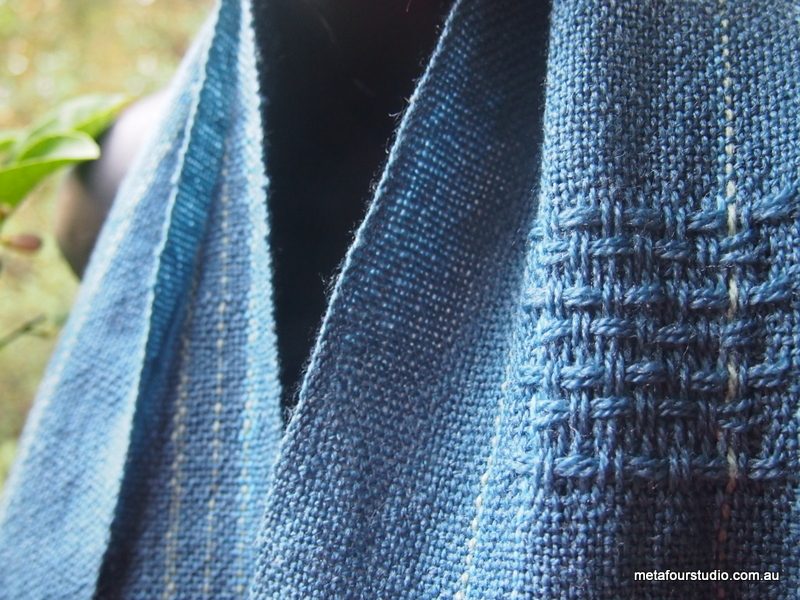 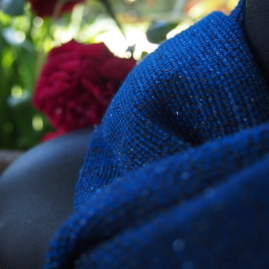 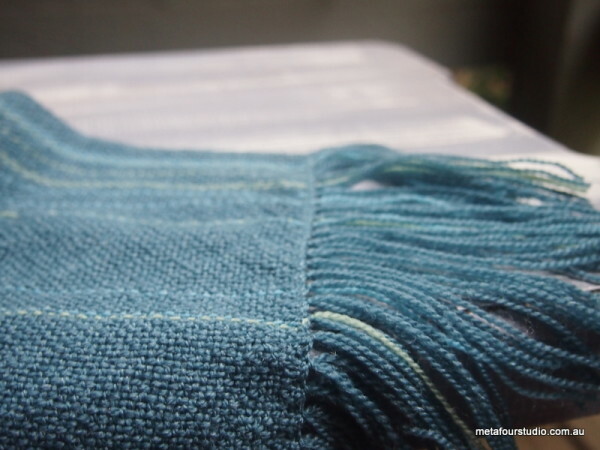 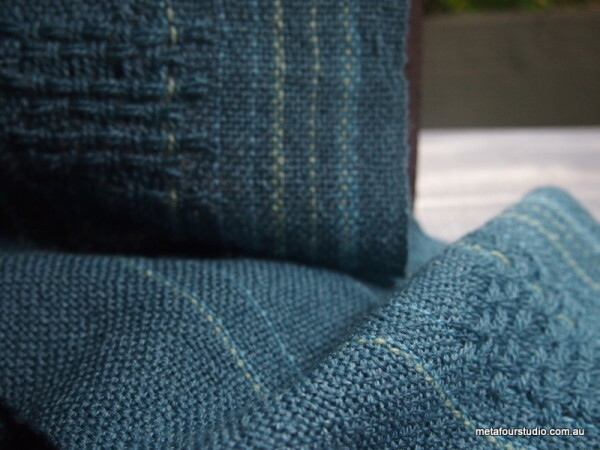 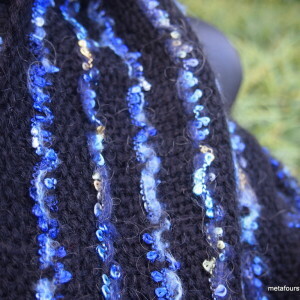 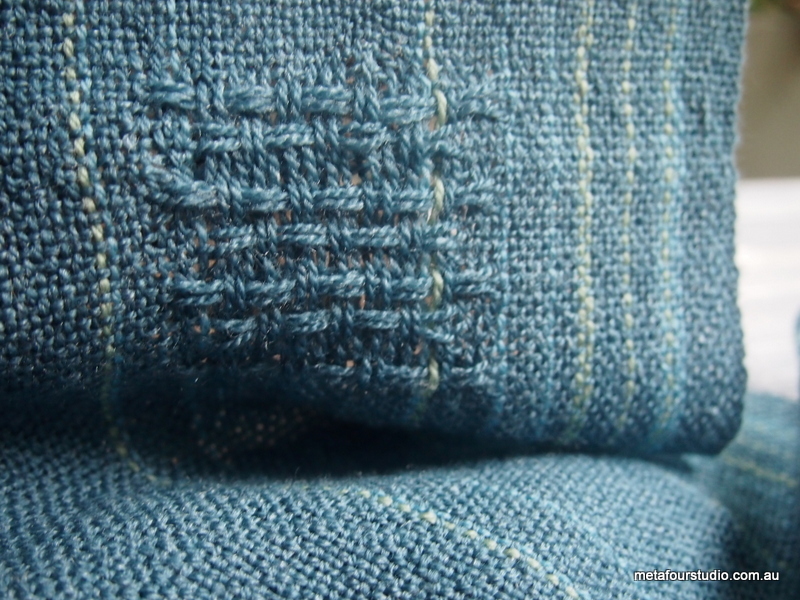 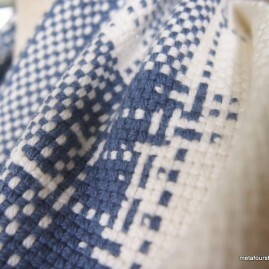 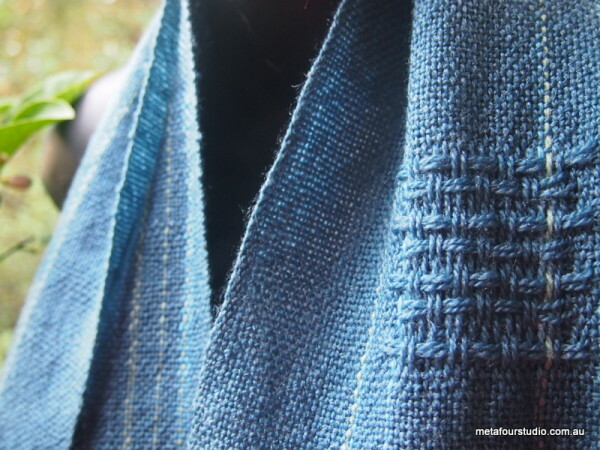 Detail: Handwoven scarf in blues and greens, with huck lace repeating motif.